The company hasn’t explained what went wrong with their snack bars yet. It’s possible there was some kind of food contamination, but there is also a chance that this is a formulation problem. Users have claimed having a slight soy intolerance from other Soylent products in the past. This isn’t the first time Soylent has been caught shipping a product that made their customers sick. The launch of their 2.0 drink (the one I reviewed) had to be delayed because of mold found growing inside the containers. Yum yum, right? Dont get me wrong, every company tends to fall short of their promises now and then. 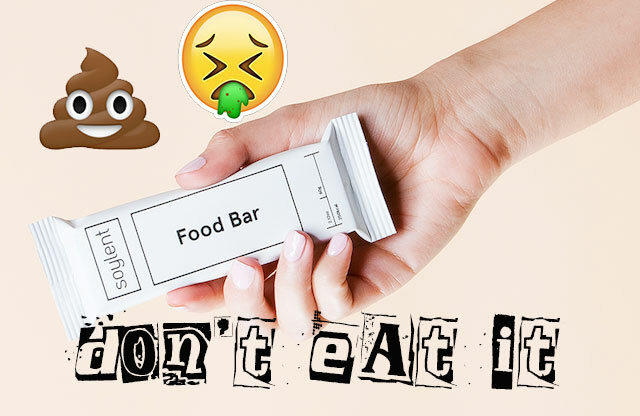 I do think Soylent has a lot of potential as a brand and product, but if you’ve got sensitive stomach enzymes you might want to opt for some other meal replacement product.